Apple XCode 4 loses CVS support — D’Oh! I felt that this was worth a blog-post. So here we are. 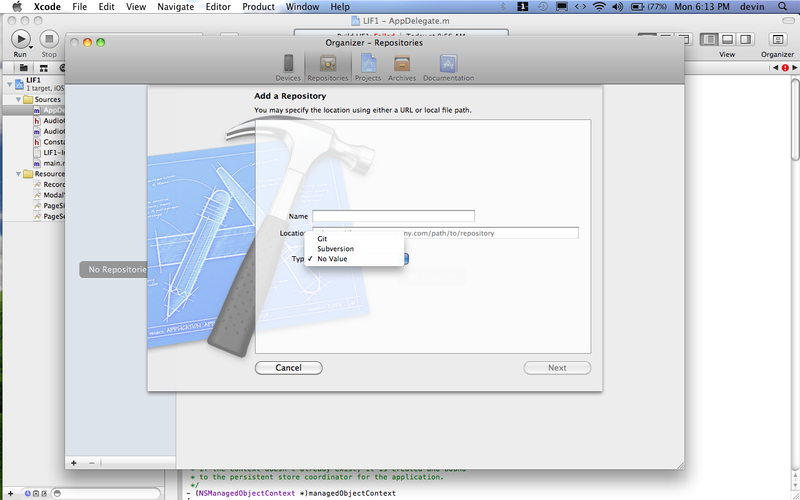 XCode (Apple’s interactive development system for building applications) version 4 has been released to the general public. I am wonderfully pleased with the simplification/unification efforts but XCode4 has me scratching my head why Apple would remove CVS support. I look around me and all I see is CVS — sourceforge.net still firmly embraces CVS. Is this a sign that Apple doesn’t like open-source ventures such as sourceforge.net? Was maintaining CVS support too difficult? Were there some capabilities that were lacking in CVS? As a person well entrenched in the ways of CVS, I find it ineffable that I might have to migrate sizable iOS projects to some other SCM system such as Subversion (SVN) or Git just to maintain GUI integration within XCode. Mind you, I have no qualms with doing all SCM from the command-line and leaving XCode as a debugger/profiler/analyzer/compiler/editor/builder (though I have to admit, having CVS SCM built-in to XCode 3 was oh-so nice — in-fact I use to pitch it to co-workers as a “does everything” editor that could even be used for unix projects too, optionally replacing a system of Makefiles). I can only hope and pray that in the coming weeks/months, there is an overwhelming public outcry over the removal of CVS from XCode 4 and that Apple — hopefully being the kind-hearted and in-touch kind of people I could only imagine them to be — might resurrect this industry-standard (truly a fallen comrade). Until then, back to the command-line. P.S. If Apple decides to subsequently remove the command-line utility from the Developer Tools installation, I’ll be turning to MacPorts, Fink, or compile it from source (yeah, I’m that determined to use CVS). P.P.S. With tools like gource [ http://code.google.com/p/gource/ ], nobody in their right mind would switch from their current SCM to any other unless their 15+ year commit history was guaranteed to be preserved in the conversion process. Previous PostD-String, an answer to P-String and C-String limitationsNext PostXCode Update Woes – With Solution!